The New 3DS is coming out on February 13, Nintendo just announced. This release date is no surprise given yesterday's leaks, but now it's official. 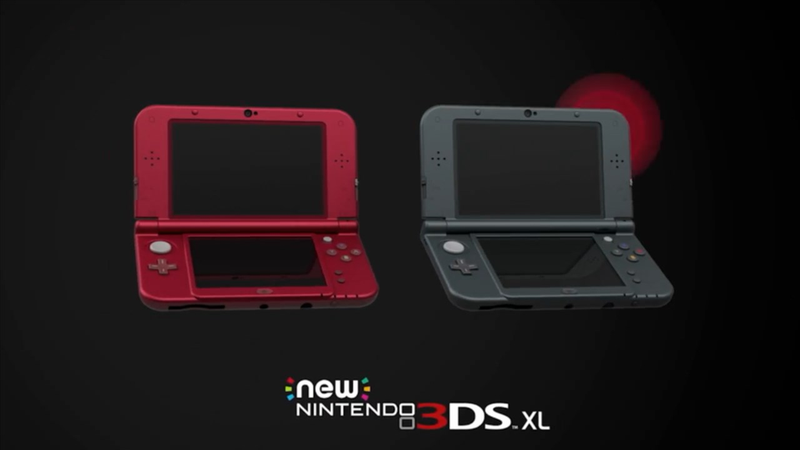 It looks like we're only getting the New 3DS XL—no smaller version. In a video presentation this morning, Nintendo America president Reggie Fils-Aime gave us a walkthrough of all the new bells and whistles, which include new shoulder buttons and a revamped 3D function that tracks your face—no more sweet spot! The new system will cost you $200. Our Japan folks say it's great. It'll be available in both red and black when it launches, and it won't include an AC adapter, so keep your old 3DS ones around.